Mohamed Salah’s 65th-minute goal in Saturday’s 1-1 draw with Chelsea equalled a club record set by Daniel Sturridge during the 2012-13 season. The Egyptian forward’s strike against the Blues took his Premier League tally to 10 goals in just 13 games and no player has done it quicker for the Reds. Salah, who has scored 15 goals in all competitions for the Reds, is also the Premier League’s leading goalscorer this season, one ahead of Manchester City’s Sergio Aguero and Tottenham’s Harry Kane who both have nine. Liverpool’s manager says the striker must be aware of the difference between pain and serious pain after the striker’s latest injury setback. 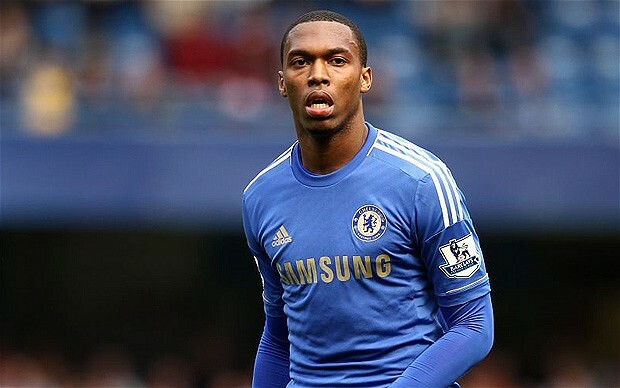 Isaac Newton’s relatively obscure Fourth Law of Motion states that if Daniel Sturridge is moving towards a return to regular playing time, there will also be an injury moving directly towards him arriving just in time to ensure he never steps foot on the pitch. 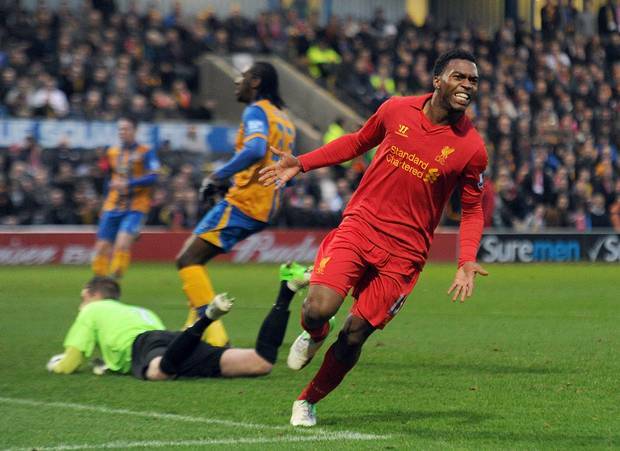 Sturridge—the most talented striker at the club—is injured. Again. The striker was ruled out of Thursday’s victory over Bordeaux with a foot injury. 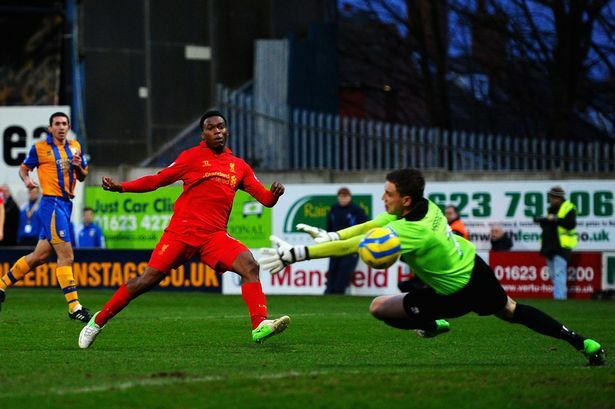 With Daniel Sturridge, injuries and niggles seem to keep on coming. For Klopp, however, there is some learning to do when it comes to managing pain. The situation is Daniel was very often injured in the last few months, and maybe years, so it is normal when you get back in training usually it is not the quality, but you need training. Your body has to learn to adapt to new intensities of training and in this time you have to learn what is serious pain and what is only pain. When Daniel comes back after this long break you would train five weeks in a row and play only in friendly games. That would be the best, but of course we know the world is not perfect so we have to try the best and the quickest.It is a really long period so now we have to stay patient I am sorry to say. I’m sorry for you, sorry for me, sorry for him. We’re all sorry and probably more than a little frustrated at the moment, but it’s important to remember that the player isn’t suffering injuries on purpose or part of some shady scheme to hamper Liverpool’s prospects. Sturridge has missed an incredible 68 games for Liverpool and played in 70 games, underlining the need for depth up front. Liverpool will hope that this latest setback is just part of the recovery process as Klopp pointed out, but there may be a possibility that Sturridge’s problems with injuries aren’t just physical. It’s difficult to say either way without intimate knowledge of the situation, but hopefully the scans will bring good news so that Sturridge can be available for action relatively soon. Liverpool lost 2-1 against Manchester United at Old Trafford on Sunday after Robin van Persie gave United a first-half lead and then doubling their advantage shortly after the break Vidic deflected a Evra header home. 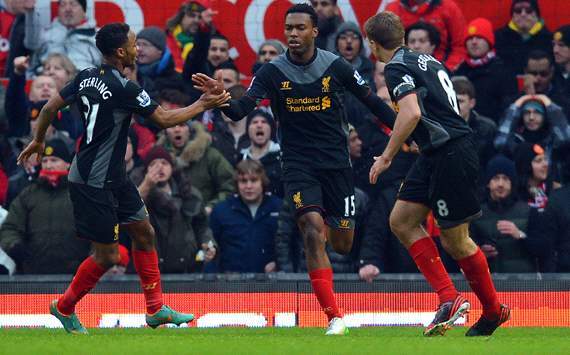 Substitute Sturridge made an immediate impact as he fired home after David De Gea had spilled a Steven Gerrard drive. However Reds couldn’t find the equalizer and United were able to hold out for the win. “I was very proud of the team. I thought that the first half we were a wee bit tentative at times in our passing and we actually presented them with opportunities in the game. But in the second half – you could have easily at 2-0 given up the fight – the fightback was brilliant by the players and I thought second half we maybe deserved something from the game. We are disappointed to lose but take heart from the fact we kept going and Daniel Sturridge coming on and getting another goal was terrific. The second-half performance was much better. It’s never easy when you have got young players that are making their debuts at Old Trafford and when you look at Manchester United’s experience in their team – they have been there and been around a lot of them. For us it was just about reinforcing a couple of details that we needed to be better at. We are disappointed with the free-kick because we never defended that well enough. But after that the reaction was terrific. We will take great hope from the second-half performance. We know the improvements we need to make if we are going to sustain a challenge at the top of the table. Suarez and Sturridge both showed good signs of an early partnership forming as both players seemed to be on the same wavelength. Lets hope we can bounce back next week with a good win over Norwich.